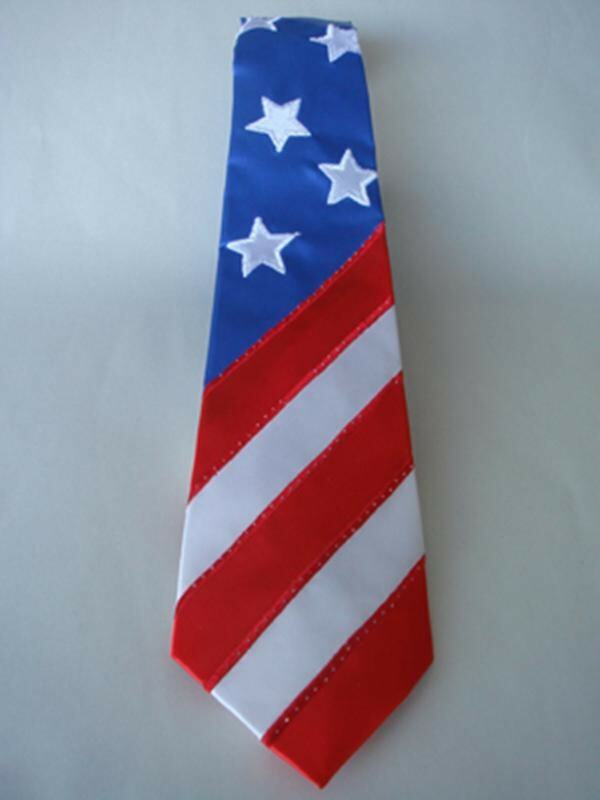 Patriotic striped Tie. Push button and tie lights up. Elastic goes around neck. For Men or Women. Fun for patriotic Picnics or Political events.